Carlos L. Esguerra was born in the Philippines, and is now living in New York City. He was in the computer field for 36 years, starting as a programmer analyst for IBM Corporation in White Plains, NY, and later as founder and president of CLÉ Systèmes, Inc. for 12 years. 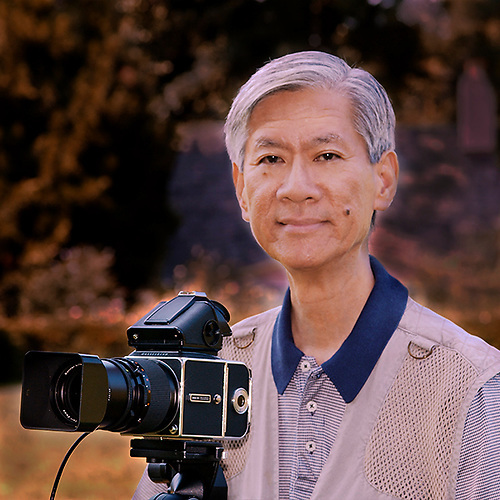 He took early retirement from his business in 2003 to devote his time to his rediscovered passion – photography. Since 1999 as a landscape and fine arts photographer, he has received national and international awards and recognition in photography, and his works had been selected in numerous juried exhibitions in many states in the U.S. and in other countries such as Argentina, Austria, Canada, France, Germany, and Sweden. In 2008, he received the 'Pamana ng Pilipino' (Philippine Heritage) Presidential Award, the highest award given by the President of the Philippines to overseas Filipinos who excel in their fields of expertise. In 2011 he was awarded the 'Ani ng Dangal' (Harvest of Honors) by the National Council on Culture and the Arts of the Philippines. In 2014, he received the 'Distinguished Alumni Award in Culture and the Arts' from the University of the Philippines. In 2015, he received the Order of the Knights of Rizal - New York Chapter Award in Literature and the Arts. He was the November 2017 recipient of "The Greater China Grant" from the Luminous-Landscape Endowment Fund. He loves to capture the beauty of nature with the least number of elements, framed and composed in a simple austere view. Interviewed onstage in Linz, Austria during the Awards Ceremony for the Hasselblad Austrian Circuit, he was asked why he likes the “quiet” or “silent” style of photography. Esguerra replied he was influenced strongly by Japanese Zen principles. He said, "I strive to make my photographs simple, clean, and uncluttered". He studied Business and Economics at the University of the Philippines, and obtained his MBA from The George Washington University in Washington, DC.